If the constipation is an ongoing complaint then you could try some of these but it would be better to have a full consultation to determine the best remedy and treatment plan. As you will see in my Information Page my approach to treating people, whether babies, children or adults, is a customised approach. These remedies can be used on adults too. You can buy tissues salts and the remedies listed below online from the homeopathic pharmacies or from most health food shops. Most good homeopaths will also supply but, for me personally, I only supply remedies to existing clients. Calc Carb 30 – really good remedy for constipation. Child is not really bothered about being constipated. Stool is large and hard and can be pale in colour. Child is usually easy-going but can be stubborn. Causticum – stool difficult to expel. May be soft in texture or covered in mucous. Crampy, colicky pains. Stool passes easier if standing. Very sensitive children who do not like injustice. Lycopodium 30 – tummy bloated and rumbling with gas. Lots of flatulence and feels better for passing wind. Stools hard, knotty. Can be worriers and feel they’re not good enough even though they are very capable. Mag Mur 30 – constipation from milk. Straining to pass stool but nothing happens. Stools passed with great difficulty and come as small balls. Cramping pains. Anxious and does not like confrontation. Nat Mur 30 – straining to pass stool but nothing happens. When stool does come, they feel there’s still more to go. Stools can be small and crumbling. Tendency to be reserved people who bottle things up emotionally. Nux Vomica 30 – constant desire to pass stool but very little or nothing passes. Feels there’s still more to go. Can alternate with diarrhoea. Stools are hard and large. May have over-indulged at a party etc. Child will be irritable and hard to please. 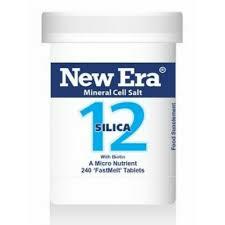 Silica 30 – stool is very difficult to pass. Child will be grunting to get it out. Stool can come partially out but then recedes back in. Can burn afterwards. Can be delicate children but also very determined within themselves. Some of these remedies sound quite similar! So telling them apart sometimes comes down to the emotions or character of the child. If you’re struggling to treat short-term constipation, book in with me for an Acute/Urgent 30 min Consultation over Skype where I can take more details and find the best remedy. Constipation in babies, children, and adults, can be chronic and go on for years. Some are always prone to it while others develop it over time. If your child’s constipation is an ongoing chronic complaint then you do need to have a full consultation with me to deal with it at a deeper level. For more information on consultations and how I work, please see here. Constipation can be related to other symptoms too such as pain, backpain, cramping, tiredness, bed-wetting, sleep disturbances, mood swings, tantrums, food intolerances, allergies. A case I treated one time was a girl age 4 who was mortified about passing a poo. Everything else with her was great and she was a happy child generally. Except when it came to her poo. In this case, only one remedy was required – repeated over a two week period. She was fine after that and her embarrassment disappeared. Sometimes just a small change in energy, which homeopathic remedies do, is enough to allow a child to settle back into their true self and get on with the important parts of life – such as living life to the full. Another case I treated was a boy age 6 who had been through a traumatic experience when he was younger. This trauma was frightening for him and he then developed constipation. He would hold on for days and days. He had anger and crying for no apparent reason. The first remedy he had helped enormously but still didn’t get rid of the problem entirely. I followed with some other remedies which he really responded to. He needed a repeat prescription after a few months when his mum noticed that he was starting to slip back into his old ways. One repeat dose at that point brought him back to himself. Next Next post: Feeling Nervous?